In recent times, wearable sensors have provided users with the opportunity of seamless monitoring of the body’s vital parameters and disease symptoms in a time-controlled manner. With wellness devices gaining traction, one of the daunting challenges being faced in healthcare is the need for continuous, dynamic non-invasive monitoring of biochemical markers to understand chronic health conditions. Hence, the integration of wearable diagnosis devices on an internet of things platform proves promising for enabling continuous, point-of-care chronic disease detection improving early-stage detections and providing the user with warnings to seek medical care. 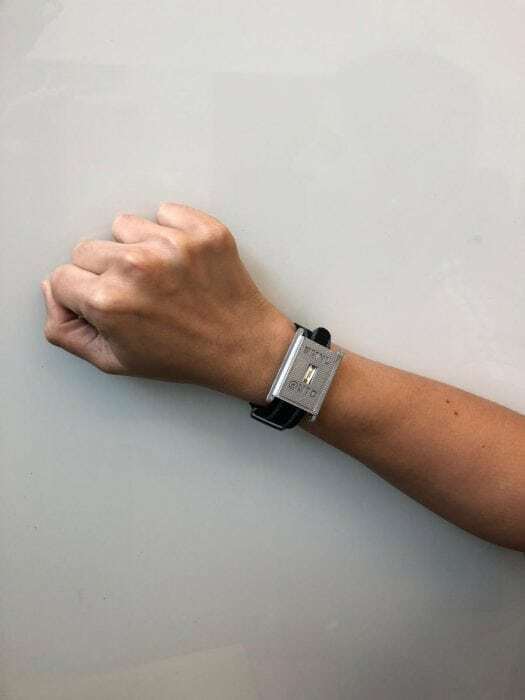 Existing wearables devices in the form of fitness trackers monitor heart rate and physical activity, however, there is no information obtained on human health status which can be understood by probing biochemical markers. The challenge of sweat based analytics of biochemical biomarkers is manifold. In this work, we have tried to decouple the challenges if maintaining response fidelity while monitoring two analytes whose temporal dynamic behavior is critical for assessing human physiological state. Glucose and alcohol are two biochemical markers that have a significant impact on human lifestyle. According to the statistics gathered by the American Diabetes Association in 2015, an estimated US population of 30.3 billion was diagnosed with diabetes and 84.1 million were found to be pre-diabetic. Alcohol consumption modifies glucose balance in the body having contradictory effects on blood glucose levels depending on a person’s nutrition state. Alcohol consumption in a fasting state induces low sugar levels; the response to alcohol intake in a fed state is the development of high sugar levels. Studies have shown that a curvilinear relationship exists between alcohol consumption and incidence of type 2 diabetes, posing serious risks to a large demographic. Hence, there is an imminent need to monitor the effects of alcohol consumption on blood glucose levels for health and lifestyle management. 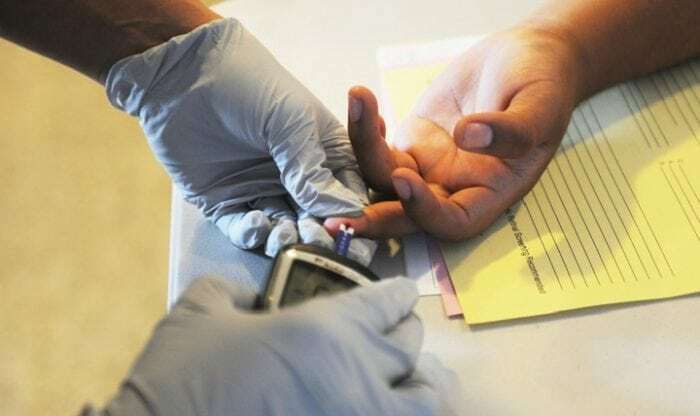 Traditional blood-based-glucose testing requires frequent finger pricking throughout the day causing pain, discomfort, anxiety, and lack of motivation to perform the test. Blood alcohol content is an accurate indicator of ingested alcohol in the human circulatory system but requires tedious procedures and trained personnel to analyze samples. Breathalyzers are currently being used to indirectly estimate blood alcohol through measurement of breath alcohol content. However, breath alcohol is susceptible to other alcohol components present in the environment and hence generates false positives. Researchers at the University of Texas at Dallas have developed a wearable biosensor that monitors glucose and alcohol simultaneously in perspiration. In a study recently published online in the journal Biosensors and Bioelectronics, the research group has demonstrated the first technological proof of feasibility in using human sweat based biosensors towards combinatorial monitoring of alcohol and glucose content in low-volumes of human sweat towards the larger goal of designing diagnostics wearables that can quantify and dynamically report both alcohol and glucose content from users. Sweat based sensing often requires researchers to stimulate the eccrine glands present on the skin to generate sweat by injecting a sweat-producing drug into the skin. This process is known as iontophoresis and can cause skin irritation and rashes. The research group has been able to detect and continuously monitor the fluctuations in glucose and alcohol levels in low microliter sweat volumes starting at a 2- hour window without iontophoresis or chemical stimulation. The researchers have designed the sensor to trap and retain passive sweat at low volumes in and uniform manner. The sensing elements are embedded into the wearable material and surface engineered with specific chemistries to achieve biomolecule detection. The underlying sensing mechanism utilizes enzymatic chemistries to induce electrical changes at the interface of the sensor when the target biomolecules are oxidized by the enzymes. This technique allows for robust and sensitive detection of biomolecules in varying sweat pH environment, low volumes of sweat, and in the presence of other interfering biomolecules present in sweat. Integration of such sweat based sensing devices on wearable- IOT based platforms provide a promising opportunity to enable dynamic lifestyle monitoring in diabetic and pre-diabetic populations by allowing them to track their glycemic content continuously during and after alcohol consumption to prevent serious health complications. These findings are described in the article entitled Continuous lifestyle awareness through sweat platform: A novel sensor for simultaneous detection of alcohol and glucose from passive perspired sweat, recently published in the journal Biosensors and Bioelectronics. This work was conducted by Ashlesha Bhide and Shalini Prasad from the University of Texas, Dallas, and Sriram Muthukumar from EnliSense LLC. 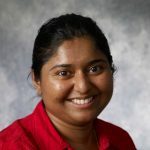 Shalini Prasad is a Professor in the Department of Bioengineering and Biomedical Engineering graduate program at The University of Texas at Dallas since 2011. Her research focuses on developing translational technologies that specifically studies the interaction between bio-molecules and their microenvironment within the sensor to develop early diagnostic sensor platforms.